The Wesleyan University Women’s Soccer College ID Clinic is 5-hour training program on the 18th of November. Registration is at Freeman Athletic Center in Wesleyan University campus. The clinic is ideal for any high school female soccer players who want to gain experience playing at the elite college level. It will simulate the training sessions the Wesleyan University women’s soccer team is using. Furthermore, the program will provide a realistic impression of how it is like to train and compete at the collegiate level. It also focuses on enhancing the participants’ technical and tactical abilities. Overall, the clinic will be a fun and challenging preparatory program for high-level collegiate soccer competition. Wesleyan University is a private, coeducational, liberal arts university in Middletown, Connecticut. It is an affiliation of the 568 Group as well as the Annapolis Group. The university is also a member of the Consortium on Financing Higher Education. Furthermore, Wesleyan University has an accreditation from the Commission on Institutions of Higher Education of the New England Association of Schools and Colleges. The university is 21st in the National Liberal Arts Colleges. It is also 2nd in the Best Colleges for Veterans rankings and 24th in the Best Value Schools rankings. Wesleyan University has 28 intercollegiate sports teams competing in the New England Small College Athletic Conference of NCAA Division III. The athletics nickname is Cardinals. Cardinal and black are the university athletics’ identity colors. 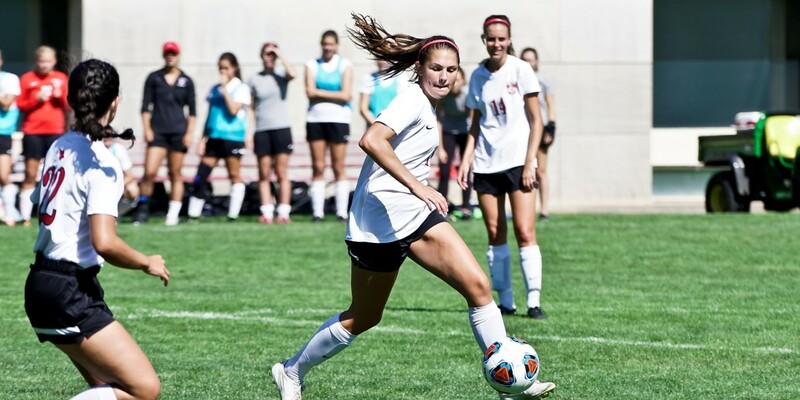 Leading the Wesleyan University women’s soccer team is Eva Meredith. The season is her 14th season at the helm of the university’s soccer program. With Coach Meredith at the helm, the Cardinals’ women’s soccer has already 6 NESCAC Tournament appearances. Then, the team’s assistant coaches are AJ Stueck, Brynn Hansson, Bill Dudzik, and Jeremy Wilson. Coach AJ Stueck is at the same time the university’s women’s soccer recruiting coordinator. The team captains are Meg Hanan, Lauren Goetzman, and Kinsey Yost. The Wesleyan University Women's Soccer College ID Clinic is ideal for high school female players who want to experience college-level soccer training.